Oak Lawn Eye Associates is conveniently located inside Fashion Optical. 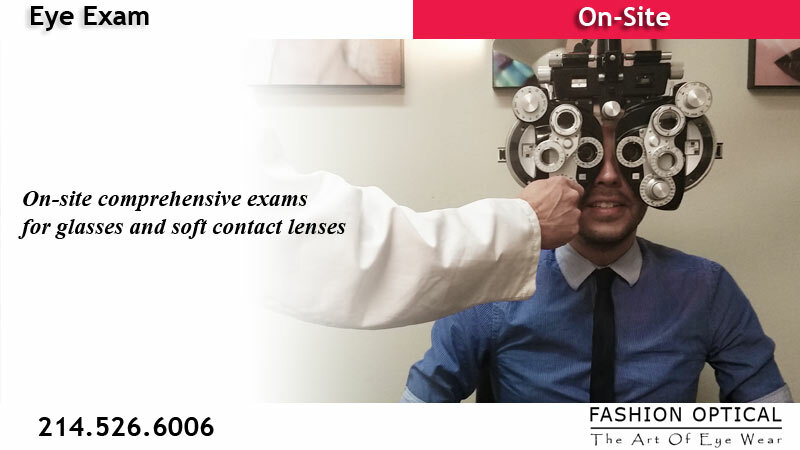 We provide comprehensive exams for glasses and soft contact lenses. Our licensed Optometrists, Dr. Atwood and Dr. Chao have a cumulative total of over 38 years of experience providing eye exams. The price for an eye exam is one of the lowest in Oak Lawn, Uptown and Highland Park yet you will receive a thorough exam with our doctors who are very thorough and accurate. Since we’re doctor owned you have the assurance that the Optometrist’s medical judgement is not being influenced by profit as is often the case with some retail chains but instead with the concern and well being of your vision. Please visit: http://oaklawneyeassociates.com/appointment/ to schedule an exam.